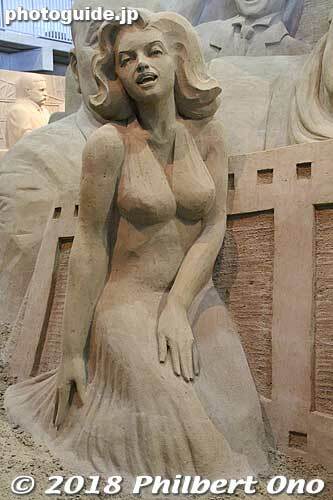 Closeup of Marilyn Monroe in sand. That's her dress in "The Seven Year Itch." Tottori Sand Museum.